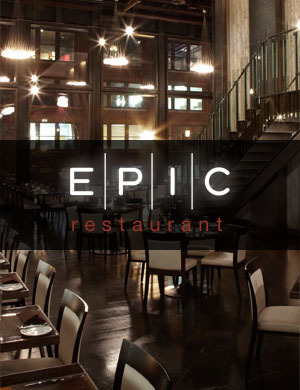 Epic restaurant in River North is celebrating their fourth year in business. In celebration of this accomplishment, dining guests will receive a 40-percent discount off of the lunch, dinner and lounge menus. In addition, Epic will offer a bevy of $4 beers (Peroni, Hennepin, Coors Light, Miller Lite, Bud Light) and $4 anniversary cocktails (The Ginger: Brugal Extra Dry, Cranberry, Pama, Domaine de Canton, Ginger Beer; and The Effen Avocado:Effen Cucumber, Avocado Puree, Fresh Lime, Agave Nectar).